Are you influenced by social media in the way you parent? Did you discover Montessori on a Facebook group? Or on Pinterest? Or through a Montessori blog or Instagram pictures? I share with you 8 tips to use social media wisely as a parent to help you on your Montessori journey. 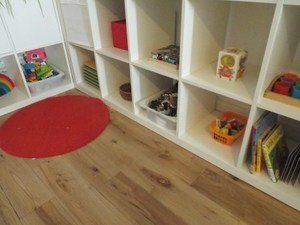 Did someone chat with you in a Facebook group about some Montessori toys? Were you searching for “toddlers activities” on Pinterest? 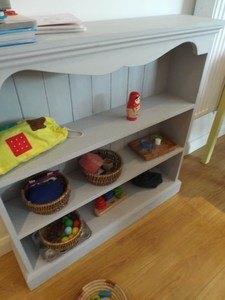 Maybe you came across a mum’s blog or several Montessori inspired parenting blogs or Instagram pictures of activities on a tray. I discovered Montessori before Social media was a thing. Wait I am not that old. 11 years ago, I moved abroad. 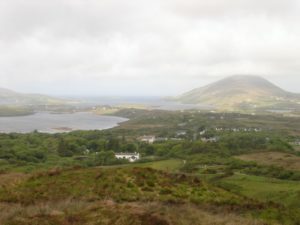 I started a blog to tell our adventures in Ireland for our family. It was even a “private” blog just to share in an easy way. Blogging was already a thing but mainly as a kind of online journaling to share with a selected audience. I didn’t discover Montessori online. 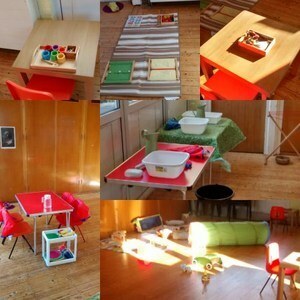 I discovered Montessori first hand, by working in a Montessori nursery. And when she was a few weeks old, my husband came home one night telling me about that new website called “Facebook”. He told me you can search your school’s friends on it and say hi and post pictures. Obviously, I went on it. Facebook for me at first was just an extension of my blog, only to stay in touch with friends and family in my home country. A few months later, I started my training as a Montessori teacher and our trainer recommended us one blog written by a Montessori teacher: My Montessori Journey. This blog was such an inspiration in my career as a Montessori teacher in the classroom. 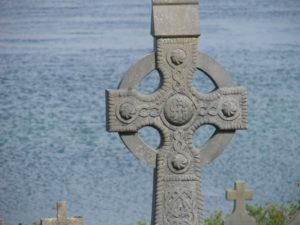 I used to read only a handful list of blogs, maybe 5 and many of them are not around anymore. All those blogs were written by Montessori trained teachers and were a peek in the Montessori classroom. Some blogs were written by Montessori teachers who were then “stay at home mums” so it was more about their Montessori life at home. At the time my own little blog was becoming more of a Montessori inspired blog but still private and my pictures were not Instagram worthy. I didn’t care, I just wanted to show Grandma that my daughter loved the hoover or to pour or whatever she was into at the time. Fast forward, 4 years later, we arrived in London. And social media influence had started to explode. I was running my own playgroup and I had started my FB page linked to my business. So it’s when it hit me. Montessori was everywhere online. There were lots of Montessori blogs to read from. Blogs are now more and more beautifully designed with nearly “professional” or “staged” photos. It is like all the mothers nowadays were photographers or digital designers before they had kids. I love reading blogs but often, I feel that it’s such a narrow view of the reality of parenting. We take pictures of trays or toys but we don’t show if the child is really enjoying or playing with those toys. We show pictures of areas of the house while others are hidden because not Instagram worthy. 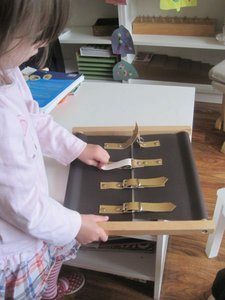 Like you, maybe, I was scrolling Pinterest for ideas and was bombarded online by Montessori trays, Invitations to play, Sensory bins and special playdough recipes. At that time, as I was conscious of my social presence as a Montessori guide running her own business, I stopped blogging and I began to doubt myself. My house was rarely tidy enough to take beautiful pictures of my 4 years old working with her Montessori material. 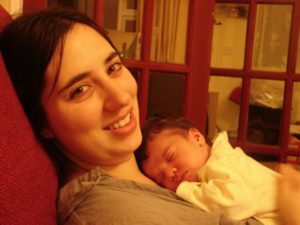 We just had a baby and we were living in a tiny London flat (with all our belongings from a 4 beds house as we had just moved from another country). I was following my child’s lead for sure but I was not making little trays of activities on a daily basis, designing printables and so on. I was overwhelmed by the numbers of activities I could do or feel I should do and I stopped blogging altogether. I read with envy all those beautiful blogs and I scrolled no end Pinterest boards. I think I had a social media depression. Compared to 10 years ago, I have also noticed a big shift in the kind of Montessori inspired activities that are suggested to parents by parents mostly. 10 years ago, you were introduced to Montessori because you were a Montessori teacher yourself, because your child was attending a Montessori school or because you read a Montessori book for parents. Generally, this way of being introduced to Montessori gives you a sound basic knowledge of the Montessori principles and a clear view of what to do with your children, in particular in term of ages or in term of ability to follow your child’s sensitive periods. The 2 books for parents at the time were “How to raise an Amazing child” by Tim Seldin and “Montessori from the Start” by Paula Pol Lillard are very clear in term of guidelines and type of activities to present. They are very reassuring books. I always recommend them to parents as come back to guides. The shift I have noticed is that nowadays, many of the Montessori inspired activities shown on Pinterest, blogs, in FB groups are far to be Montessori or are too advanced for the child who is trying that activity. Maybe because the first blogs were about teachers showing what they were doing in their classroom, mainly with the 3 to 6 years old children, those activities are the most well known and are replicated by parents eager to teach their children. But the 0 to 3 age group is another plane of development altogether. Therefore, seeing other children doing that kind of activities, not appropriate mainly, set us up for failure and we will compare ourselves as parents to others who seem to have it all with their Insta-happy pictures and with their perfect pinned and tried Pinterest boards. And home educating the Montessori way is not about replicating a classroom. 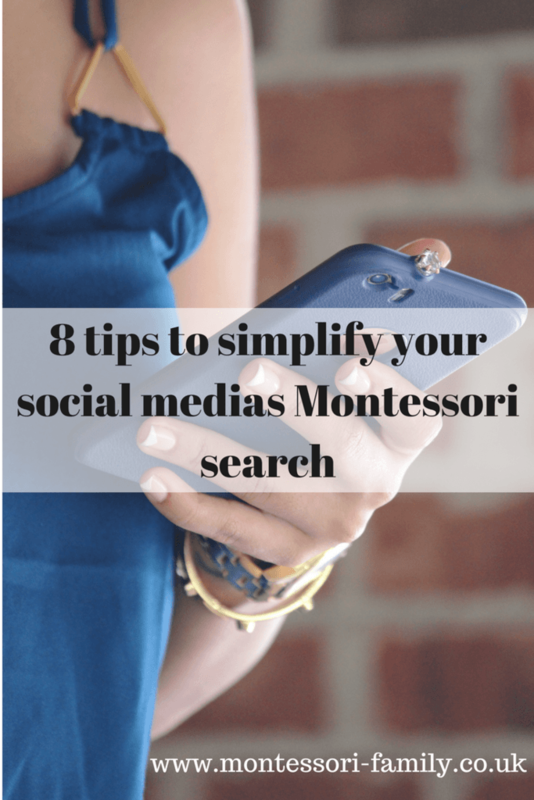 So maybe you also feel overwhelmed by the amount of information you find online about Montessori. Many parents who are in my group express this. They don’t know where to start. They also express guilt because their house is not like the ones they see on blogs. They feel inadequate. I have now come to peace with social media and I find my own way to use them in a practical way to help me with my parenting and teaching journey without being overwhelmed by them. Maybe it’s because I remember a time when I didn’t need a blog to tell me what games to play with my own child? It might sound a bit cheeky to encourage you to not be on social media when I have this blog, when I teach online and when I have a FB group for parents. But I believe you can have a healthy relationship with social media, a practical one that helps you as a parent instead of making you feel guilty because you are comparing yourself. And to add to this, I really enjoy reading mum’s or parent’s blogs too but I would always advise parents to read them with a pinch of salt and not to follow anyone blindly. Every family will have its own ways and being inspired is great as long as you don’t feel down because of too many Fake books posts and Insta-Happy pictures. have a list of curated blogs that you like (check this one). A small selection will be plenty enough! I read a selected list of blogs which I know show activities in line with the Montessori principles and/or are written by Montessori guides. have a list of free printables websites: it drives me nuts to come across one that I need to pay for when I decide to print something last minute for my playgroup. I am happy to pay some too but I like to have my freebie list handy. Have a reference book to come back too. The 2 books for parents I recommend are “How to raise an Amazing child” by Tim Seldin and “Montessori from the Start” by Paula Pol Lilliard. They are very clear in term of guidelines and type of activities to present. They are very reassuring books. Find a few Montessori FB groups that you like to be guided by a Montessori trained teacher. Take a Parenting course to be guided on your Montessori Parenting journey. Do a screen free week and enjoy the fact that you have all you need to provide fun to your child without social media influence. 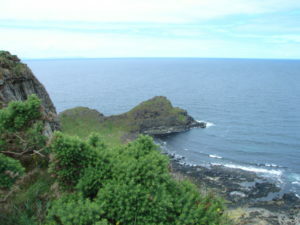 Search for activities online only when you have exhausted your own ideas. Use FB groups to get real: ask to meet other families who live near you. In my FB group, we have a map of members so make use of it and meet other members. 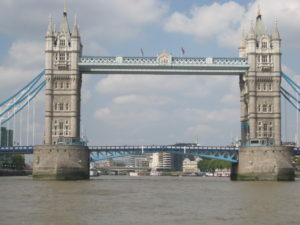 Recently, a group of parents met in London after coordinating in the group. I have a few “projects” that I will share with the group shortly to build our own “village” as we need a village to raise a child. I like to help parents to learn to observe their child before jumping into introducing such and such activities because it looked cool on Pinterest. I like to help parents to simplify Montessori by giving them the foundations. Those foundations help parents not to rely on google, blogs and Pinterest for finding ideas. Because the real life is always better than the online one. Do you have any tips to enjoy Montessori as a parent without relying too much on the Internet? Spot on Carine as always! I used to find myself among the mothers that scroll Pinterest for ideas and feeling overwhelmed by the sheer amount of blogs and resources. I also enjoy reading blogs that really emphasise on Montessori principles and can’t wait to read about that list you mentioned. I resonate with you about the photographs! I feel like some blogs are only made by professional photographers and you almost forget why you follow that blog! Anyway looking forward to that free printables link!